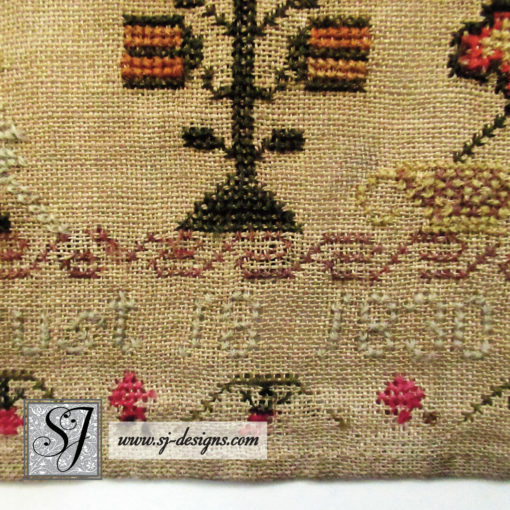 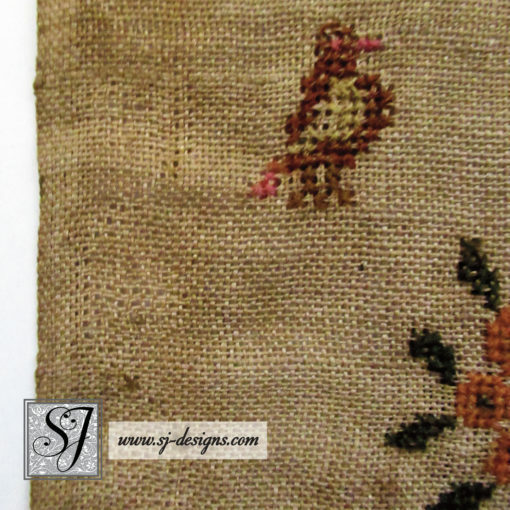 This English schoolgirl sampler reads “Susan Toutain Aged 6 Years August 18 1830.” It’s worked on a lovely golden brown linen fabric with fine wool yarns; the workmanship is exceptional for such a young child. It’s a classic style with large central flower-filled urns flanked by symmetrical motifs including parrots and other birds, large stags (with satin stitch collars) and smaller stags and dogs, fruit bowls and numerous flowering trees and plants. 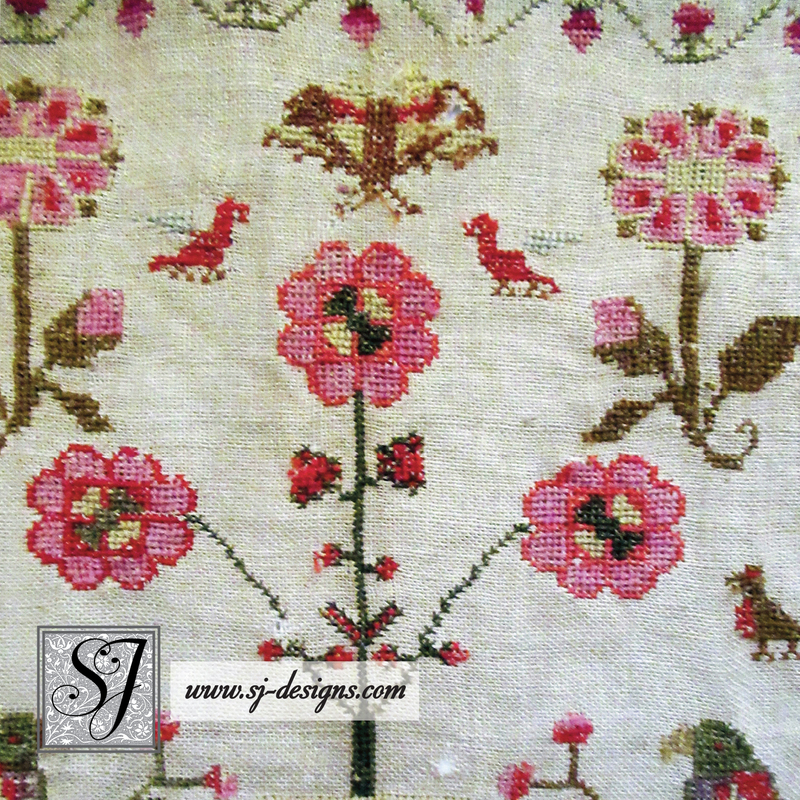 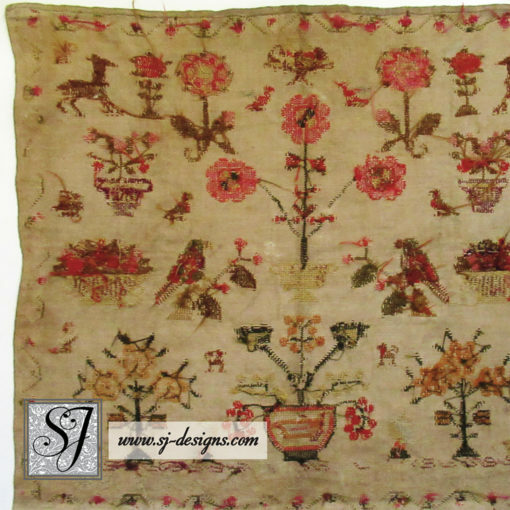 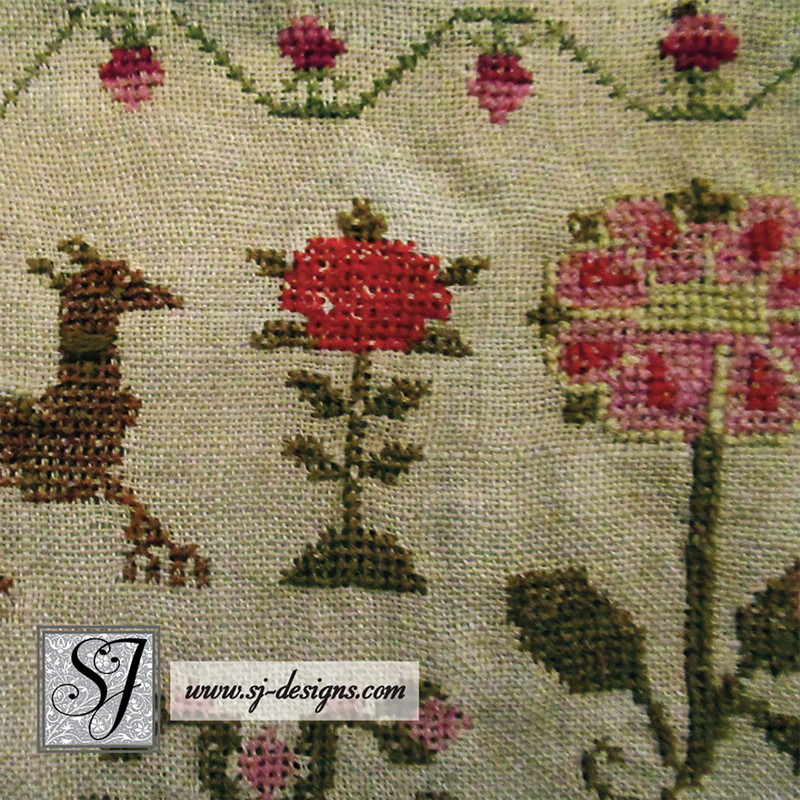 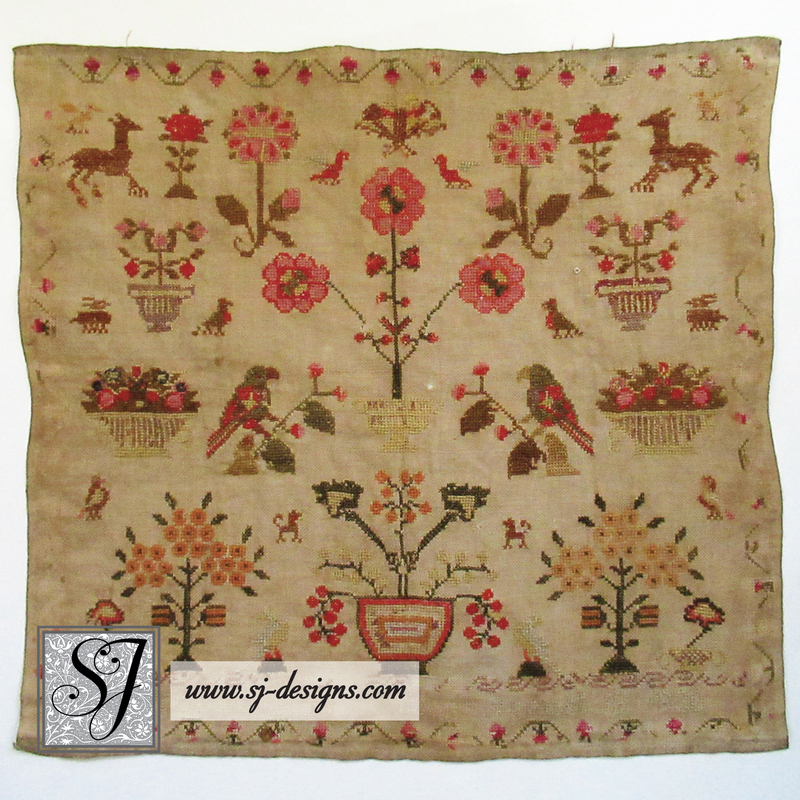 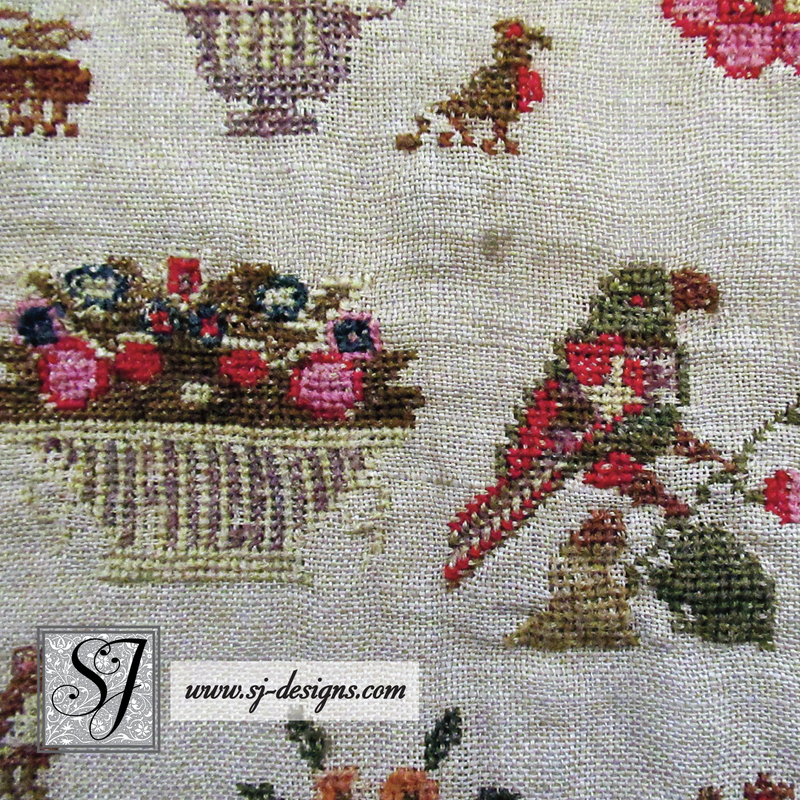 The linen backing is sturdy and supple with several small holes, including near the butterfly at top center, stag at upper right, two in the flower pots with pink blooms at the upper center and in the border. Color retention is good (the last photos show the sampler back) but there is quite a bit of stitch loss, especially in the outer strawberry border and the line with Susan’s name and date. 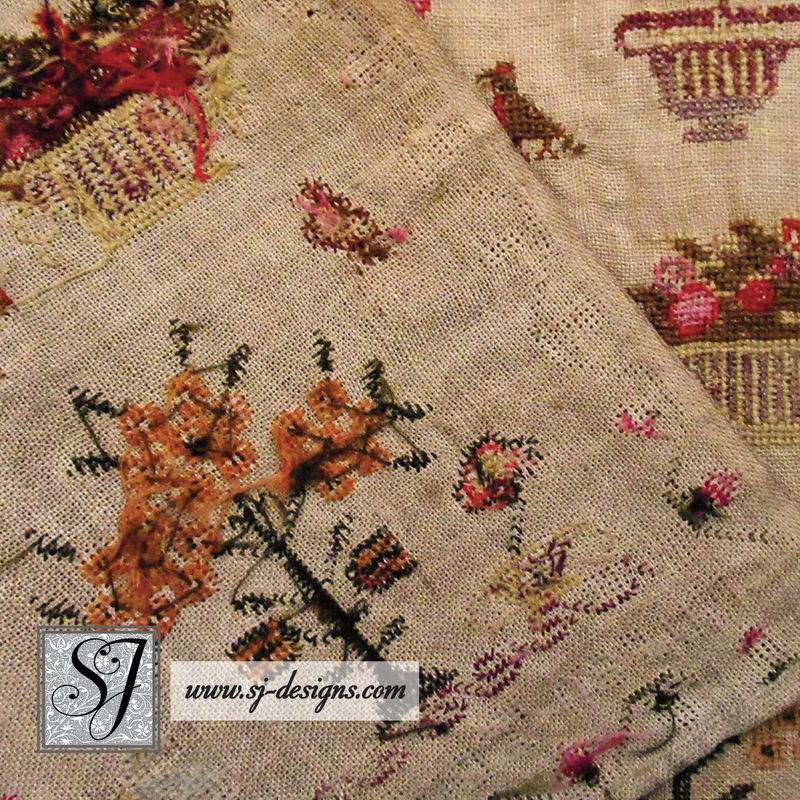 The sides are the original fabric selvedge while the top and bottom are hemmed. 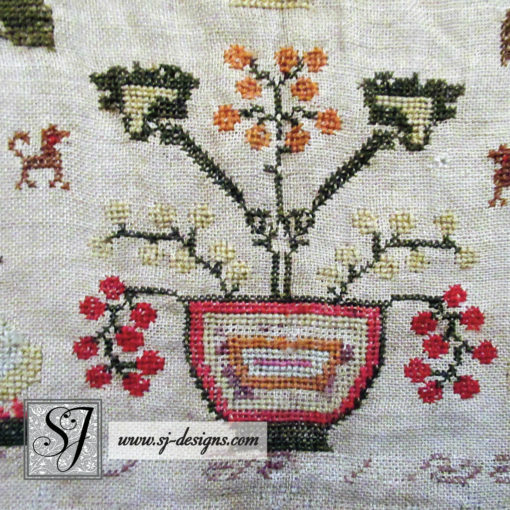 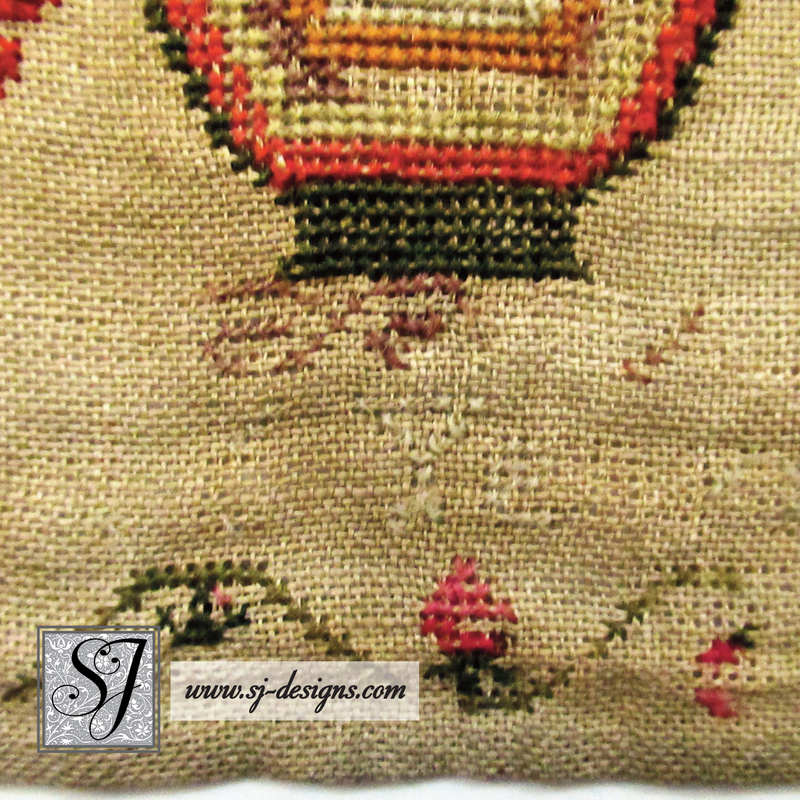 Susan’s sampler measures 16-3/4″ across and 15″ high. 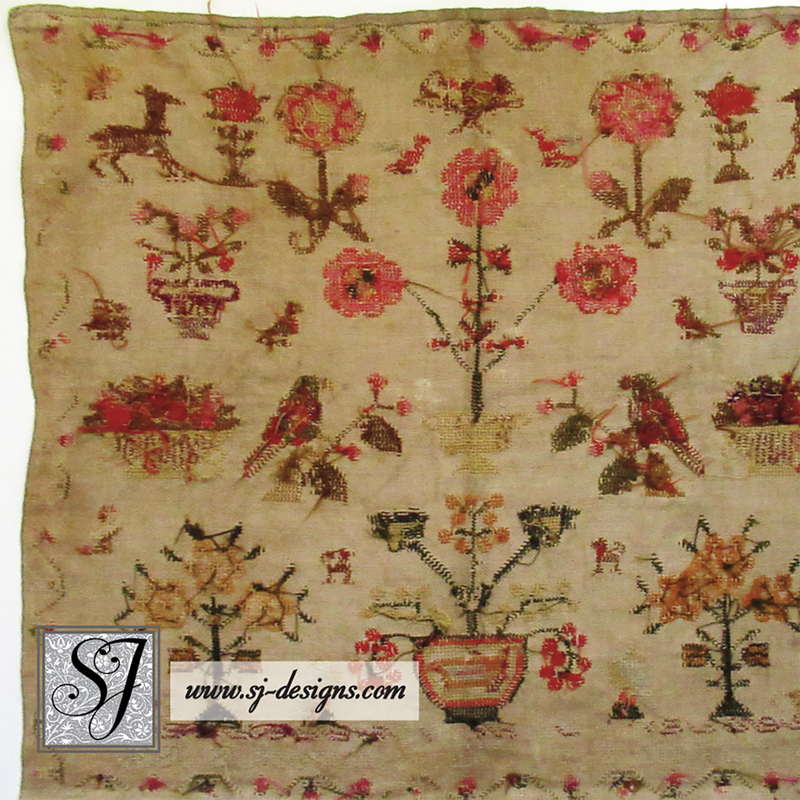 It is unframed and will be rolled in acid free tissue and shipped in a tube.